The U.S. Court of Appeals of the Ninth Circuit issued important rulings today in two class action lawsuits that will enable thousands of immigrants to request bond hearings. This will provide the opportunity to be reunited with their families while they face deportation hearings, instead of being held in immigration detention centers. Prior to the ruling, certain immigrants, many of whom were long-time lawful permanent residents with significant family and community ties in the U.S., had been denied the opportunity to request release from immigration detention facilities on bond as they fought their deportation cases. The Court of Appeals decision came in two companion cases: Khoury v. Asher, a class action case filed in Seattle by the Northwest Immigrant Rights Project, the ACLU, and the law firm Gibbs Houston Pauw; and Preap v. Johnson, a separate class action case filed in San Francisco by the ACLU, the Asian Law Caucus, and the law firm Keker and Van Nest. The cases challenged the U.S. government's position that immigration laws require the government to keep the class members locked up without even the opportunity for a bond hearing, based on crimes they may have committed and served time for more than a decade ago. Many of the immigrants affected are long-time residents of the U.S. who had long since rehabilitated themselves and become productive members of their communities. In both cases, the government sought to overturn decisions by U.S. district court judges establishing that the class members are entitled to bond hearings. In today's rulings, the Ninth Circuit affirmed the district court decisions and rejected the government's position. The Court issued a published decision in the Preap case, along with an unpublished memorandum following the same rationale in the Khoury case. The Ninth Circuit decision sets a precedent for individuals detained within the jurisdiction of the largest judicial circuit in the country, encompassing nine western states including Arizona, California and Washington. 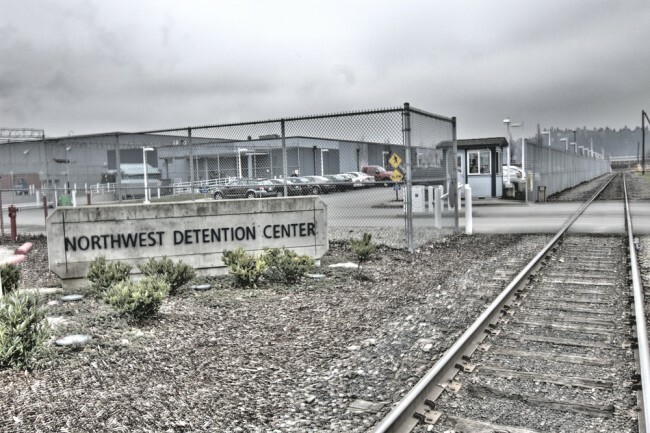 "We are very happy that the Court has rejected the government's efforts to overstep their authority in denying thousands of individuals their basic right to a custody hearing," said Matt Adams, legal director for Northwest Immigrant Rights Project. "Today's decision is a victory for fairness and due process of law," said Michael Tan, attorney with the ACLU's Immigrant Rights Project. "People who have served their time, turned their lives around, and are supporting their families should not be condemned to mandatory lock-up. In America, everyone should get a chance to see a judge before their freedom is taken away."